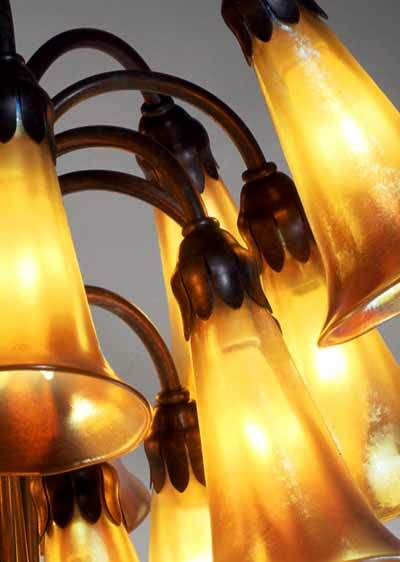 Our lily shade fitters are near perfect copies of Tiffany's design, so much so that they are routinely purchased by antique dealers to replace damaged fitters on original Tiffany lamps. They fit snugly around the shades and hold them securely in place. Our top-notch fitters together with Lundberg's exquisite shades create a totally authentic look that is unrivaled by any competitor.